“We spoke of dreams that came to us when we were young/ But as the morning rose, we spoke with forked tongues,” sing Johanna and Klara Soderberg on their third album as the folk-pop duo First Aid Kit. It’s just one of many declarations of shaky faith and penetrating nostalgia that comprises Stay Gold, the Swedish sisters’ major label debut. The Soderbergs’ folkie romanticism won over hearts with their 2012 breakthrough Lion’s Roar, and their last two years of touring and unprecedented success have left them weary and wistful on their latest record. Major label skepticism, touring fatigue – this is all standard fare, if not outright cliché territory, for an ascendant group like First Aid Kit. But Stay Gold steers clear of mediocrity by treating such themes as starting points rather than conclusions. A quick glance at song titles like “Master Pretender,” “Fleeting One,” and “Stay Gold” give a sense of the duo’s deep fear of phoniness both personal and professional. The sisters spend most of their latest LP reflecting and ruminating on the double-edged sword of their ambition and success, wondering what might have been lost along the way. They reflect on past dreams and lost innocence on highlights “Cedar Lane” and “Shattered & Hollow.” “The place we belong is quietly gone/ While we were making plans, it drifted away,” they sing in their typically irresistible harmony, halfway through the album. For all its timid trepidation, Stay Gold is an ambitious sounding record, full of massive hooks, and expansive arrangements. With no interest in the strict genre constrictions of “authentic Americana,” the group decorates their plaintive melancholy musings with synth flourishes, clarinet riffs, and plenty of strings from the Omaha Symphony Orchestra. 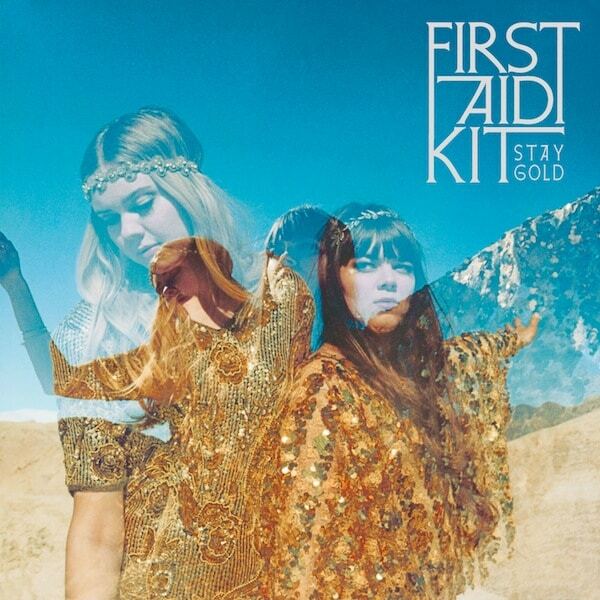 Though it lacks a knockout single like “Emmylou,” the latest from First Aid Kit is the group’s richest recording to date. This article appears in our July/August 2014 issue. Buy it here or download it here. Or better yet, subscribe.